All the tools and stuff I use to make my didgeridoos. When talking to people I have been asked many times, "What is that? ", "How does it work", and "What does that do?". This page covers all the tools and equipment I use to make a wooden didgeridoo. On a number of occasions I have helped others get hold of various tools, equipment and materials to make their own didges. Rather than spend loads of time sourcing stuff each time I get a request, I decided to make it available all the time, so I am now able to offer all the tools etc. for sale. A lovely bit of kit, comprising of a metal disc with several cutting blades on the rim, attached to an angle grinder. Made from one piece of metal the cutting points can be sharpened with a chainsaw sharpener, or by hand with the correct file. A sharp blade cuts through wood like a knife through butter, if used when blunt, the wood may be difficult to cut and more pressure is required. A band saw is circular saw blade run between two wheels, one with a motor. This gives a continuous, smooth downwards sawing motion. 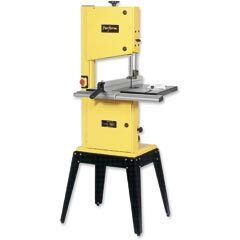 Many band saws have adjustable tables to allow wood to be cut at different angles. All I can say is that the better the band saw the easier it is to work and the more versatile you can be. Chisels are used to remove excess wood; however the blade is straight so I do not use these in any area requiring curves. Gouges are chisels with curves. A wide variety of sizes, shapes, and angles of blades can be purchased. I use two sizes (¼" and ¾") with a medium curve on the blade which allows me to reach quite tight and narrow parts of the bore (on twisty and curvy didgeridoos). At the moment I use decent quality quick grip clamps. By using the �V� blocks on the carpenters� horse I am able to secure the didgeridoo quickly and easily. They have good strength; however some of the cheaper brands break very quickly with little pressure. This is a flat knife with a handle at each end. The knife is pulled towards the body and can remove a lot of stock (stock is the term used for the bulk of the wood). Drawknives come straight or curved, and in different lengths. I use a flexible one as it allows me to bend it so I can reach the tighter bends on the more awkward bits of wood. A two part mixture that comes in gel form of varying viscosities, when mixed in the right proportion it reacts, creating heat, then solidifies into a hard mass that is extremely water and chemical resistant. Both toxic and a skin irritant when uncured but safe when cured. Different resins have different viscosities which are suitable for different applications. Of the hand saws I have used this one has to be the best. It has a thin yet very sharp blade that cuts on the pull. Its cuts well with little effort compared to some of the other saws. The only disadvantage I have found so far is that tight cuts in curvy didgeridoos are difficult due to the depth of the blade. The blade is detachable and therefore easily replaced. A Japanese version if the surform with a different style cutting blade. Whereas the surform has a horizontal blade and hence acts like a cheese grater in the way it cuts, the Japanese saw is a number of saw blades attached to each in a wire mesh style pattern. One edge of the saw has a coarser blade, and the other a finer blade. These are metal bands with a screw fitted that when tightened makes the band smaller. The pressure it applies is even around the circumference. Can be tightened very tight if needs be with the thread breaking. I use the branded 'Jubilee' clips as they have thread along their entire length so have maximum amount of adjustment. 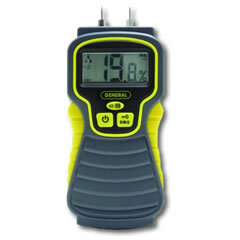 Simple little gadget of which there a number of different ones available that reads the moisture level in wood. 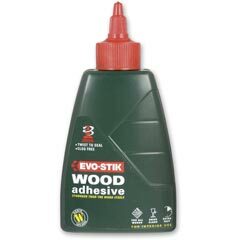 This is usefull (if like me) you are never quite sure if a piece of timber has seasoned enough. Two prongs are stuck into the wood which then displays the moisture level. The more you pay the more accurate the device will be. A two part glue. 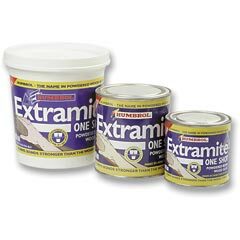 The extramite is a urea formaldehyde based resin in powder form that when mixed with water, forms a paste which sets into a hard compound. Used for joining the two halves of the didgeridoos together. When working in hot temperatures the glue can set a lot faster than it says on the instructions so be aware and work quickly. I have tried and use a variety of power tools to assist with sanding. When I started out making didgeridoos I did not realise just how much effort and time goes into sanding! I have a larger orbital sander that holds ½ sheets. This is used on areas that are large and uniform. My favourite is an adjustable speed detail sander. It is quick and effective and can cover larger areas fairly quickly. The long name is 'Poly Vinyl Acetate', and is a liquid plastic. Comes in many varieties, from children's washable PVA to waterproof external grade. Water soluble while wet. 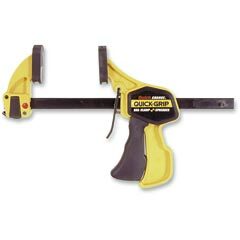 Commonly available in many retail outlets from decorating and hardware shops to DIY outlets and craft centres. 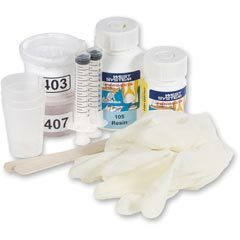 Has many uses whether as a glue or thinned with water to prime surfaces or provide a protective layer. 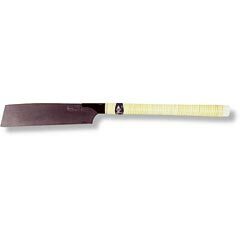 A rasp is a rough file with large cutting points for filing wood. They come in a variety of shapes, sizes and styles. 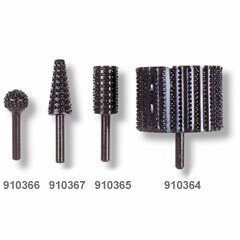 I have rasp bits that attach to a drill. These are used for refining the mouthpiece. 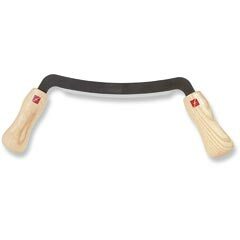 I have a couple of file rasps which are used in the shaping of the timber, and also the main two that I use: surform and Japanese and rasp saw thing (as listed above). 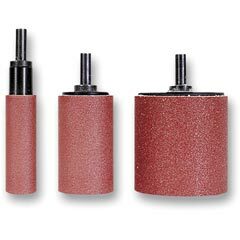 I have an assortment of sanding drums in different sizes. They, err, are a drum with a bit of abrasive paper wrapped round. 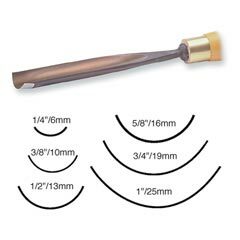 I use them for refining the mouthpiece after the rasp has been used and in the bell, after I have gouged or chiselled the excess out. 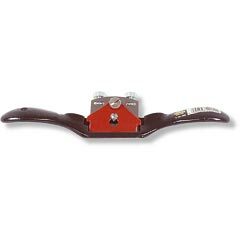 This is a type of hand plane with adjustable depth of cut. The body holds the blade, secured by a plate and screws, with a handle on each side. Straight and curved spoke shaves are available. I use a very shallow depth when finishing off or removing a ridge in the wood, whether natural or made with another implement. I use a deeper cut when I need to remove a greater amount of wood. These tools come in both one and two handed versions. 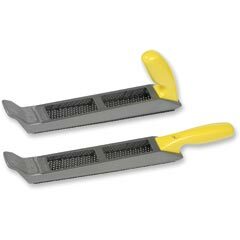 They are a thin metal rasp, mounted on a block. I think of them as a cheese grater for wood. 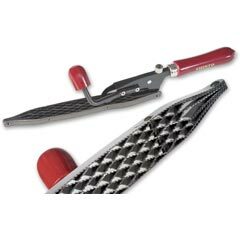 Great for rough, and finishing off the initial shaping, as well as fine adjustments after the bore has been made. Retains its cutting edge extremely well, and leaves a grooved finish which varies according to the pressure.